Buddy was born on December 20, 1925 at White Memorial Hospital in Boyle Heights. 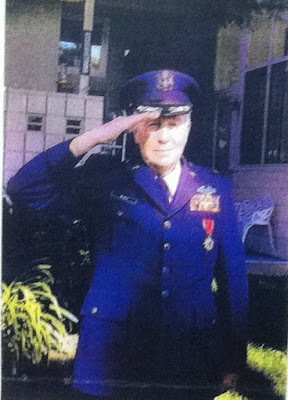 He attended Bridge Street School, Hollenbeck Junior High School and graduated from Roosevelt High School Class of 1944. He was a member of the Roosevelt High School Alumni Association where he participated in special events for scholarships and fundraising. He was honored as a recipient of the Roosevelt High School Hall of Fame Award- Teddy Roosevelt. This honor meant the world to him. He was also a member of the Saxons, a club that lasted for several decades. He was a recipient of the Saxons Pride of Boyle Heights Award. One of his most memorable experiences was serving as a project advisor for the Japanese-American National Museum in Los Angeles. The project was a large exhibit entitled – Boyle Heights Power of Place. His love for Boyle Heights inspired the formation of the Boyle Heights Historical Society a year or so later and Buddy worked closely with the Society’s founding board of directors. He also participated in the Boyle Heights History Day events as a presenter and guest speaker. He was Grand Marshall in the 2008 Boyle Heights Annual Parade and it was a memory he said he would always treasure. Buddy was a member of that generation we know as “the Greatest Generation” and served in the Army from 1944-47. He received his Certificate of Retirement from the U.S. Air Force in December of 1985. He was a recipient of the Purple Heart, the Bronze Star, Legion of Merit Medal, Combat Infantryman’s Badge and numerous other medals. He also received the Presidential Unit Citation Battle of Okinawa. 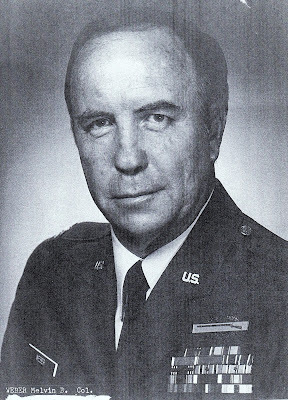 He worked in the education field for several years after his retirement from the Air Force. He never stopped doing all that was good for others. He was a man admired and loved by so many and his friendships lasted a lifetime. He was a long-time member of St. John’s Episcopal Church in Rancho Santa Margarita. Buddy is survived by his beloved family: His wife, Brenda; his daughter, Tracie; his son, Kevin and his grandchildren and great grandchildren. With love and appreciation we say “farewell and thank you” to Buddy Weber with a final salute for a life well lived, a lifetime of service and always giving to others.